You don’t have to know much about doors to know that some are better suited for some uses than others. Doors between rooms should have a certain level of resistance and weight in order to feel like an appropriate divider. Doors between a home and the outside must be even more robust and secure feeling. By contrast, other doors in the home, like cabinet, closet, and pantry doors, suffer if they are too heavy or shut too tight. Replacing the latch can help your miscellaneous doors feel light and accessible like they should. If you’ve been stuck on closet and cabinet latch ideas, ball-catches are an ideal option. They improve accessibility and security, and completely change how you interact with your door. Doors like these are often mounted on rails and can slide or fold to open and close. Standard handles and latches are too complex for a sliding motion, but ball-catch latches are intuitive, responsive, and reliable. They offer the perfect level of tactile feedback to feel secure and accessible to an adult without yielding to curious pet paws and toddler hands. With a ball-catch system, a spring-loaded rubber or metal ball is installed in the top of the door while a plate is installed in the lower side of the upper door jamb. The plate has a small lip which presses the ball down as the door is closed. 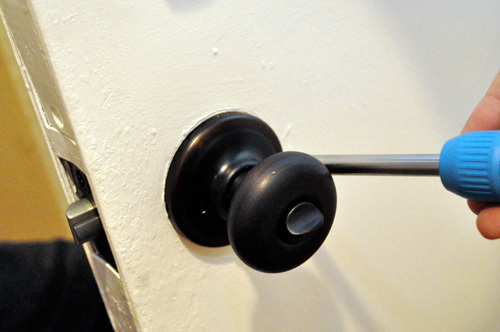 Once the door is shut, the ball passes the lip of the plate and springs back up, gently securing the door. All of these features make ball catches great candidates for closet, cabinet, and pantry doors. It’s easy to install a supplementary locking mechanism for safety and security purposes. Art supply closets, crafting room cabinets, and toolbox/machinery storage spaces can also benefit from these configurations. Bio: ETO Doors is a custom door manufacturer with showrooms in Los Angeles, New York and Las Vegas. They carry a variety of doors custom order or purchase online, with many specialty options such as solid wood and oil-rubbed bronze embellishments. Read ETO Doors reviews, browse their selection, and more online at the ETO Doors site.